The Williamson Museum on the Chisholm Trail and Round Rock Preservation are proud to present our Lunch & Learn Series! Located at 8 Chisholm Trail in Round Rock, the event runs from 11:30 – 1. Attendees will need to bring their own lunch but we will provide drinks. 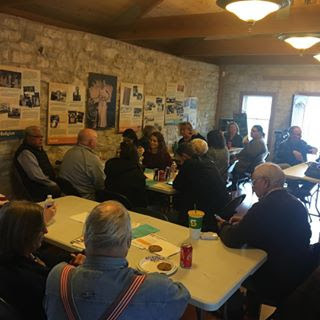 Lunch and Learn at the Williamson Museum on the Chisholm Trail is a quarterly event sponsored by The Williamson Museum and Round Rock Preservation to share the stories of Round Rock’s past. Don’t miss this free, fun event!